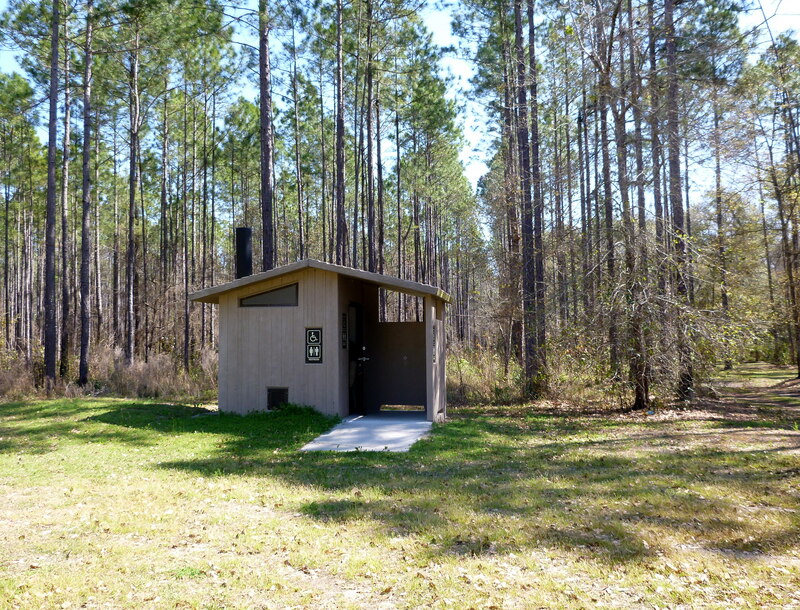 This entry was posted in Ochlocknee River, Tate's Hell State Forest, Womack Creek and tagged Ochlocknee River, Tate's Hell State Forest, Womack Creek on March 31, 2014 by marylynanded. We have heard, and have embellished, ourselves, the story of Cebe Tate, the unfortunate homesteader after whom Tate’s Hell is named. There was a Cebe Tate. He may have been 45 years old when he encountered his fate. 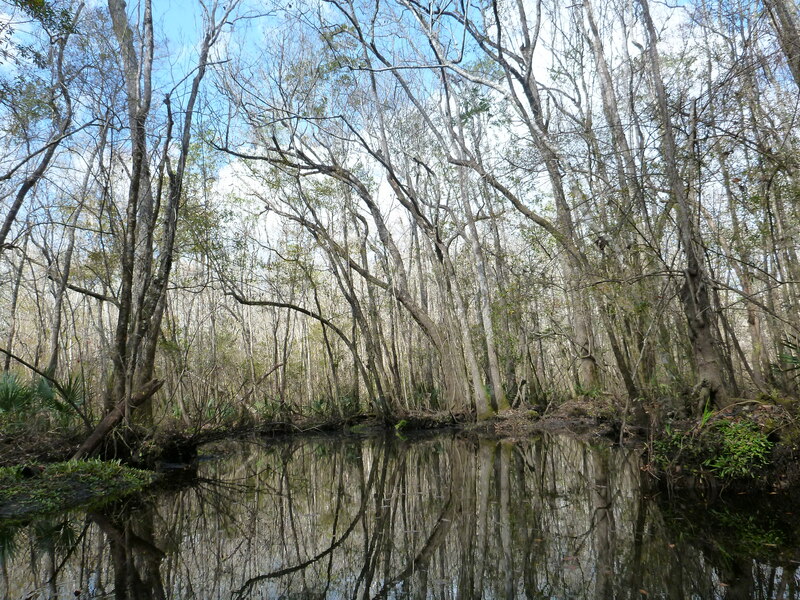 The year of his encounter with the swamps of what is now known as Tate’s Hell was 1875. He was raising livestock, some say pigs, and was in pursuit of a panther which had gotten to his livestock. He carried his shotgun and had his dog (s) when he went into the swamp near his home. 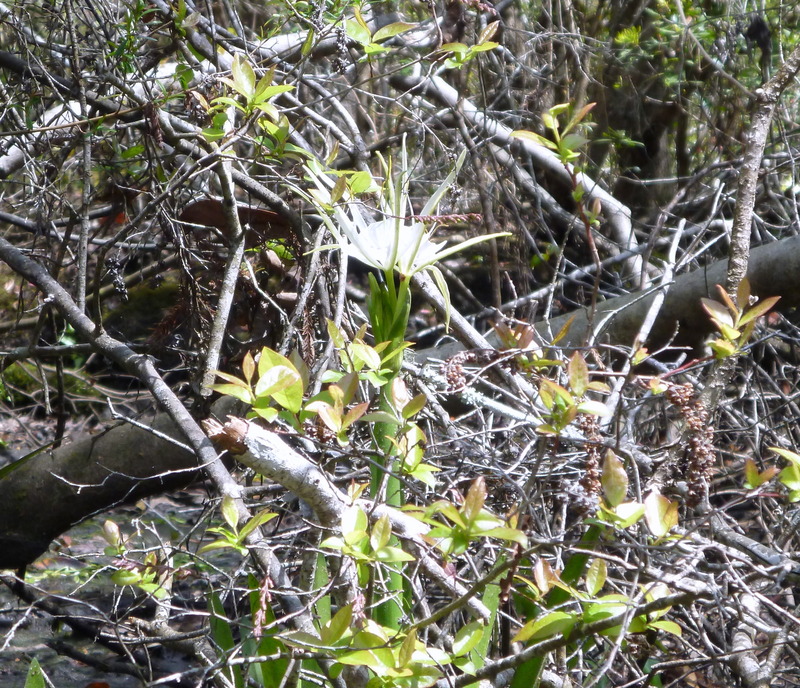 There is much variation about the swamp conditions, but depending on time of year (some say spring), he could have been plagued by biting insects, heat and humidity, water moccasins (see photo of cotton mouth, water moccasin above), and lack of good water to drink. When he left the swamps 7 days later near Carrabelle, he was without gun or dog(s). One source says he was 25 miles away from his home when he exited the swamp. This entry was posted in Tate's Hell and tagged Tate's Hell on March 31, 2014 by marylynanded. This map does not include a handful of newer campsites, including Pidcock Road camp, which is to the east of Cash Creek Day Use (CC) on the river. 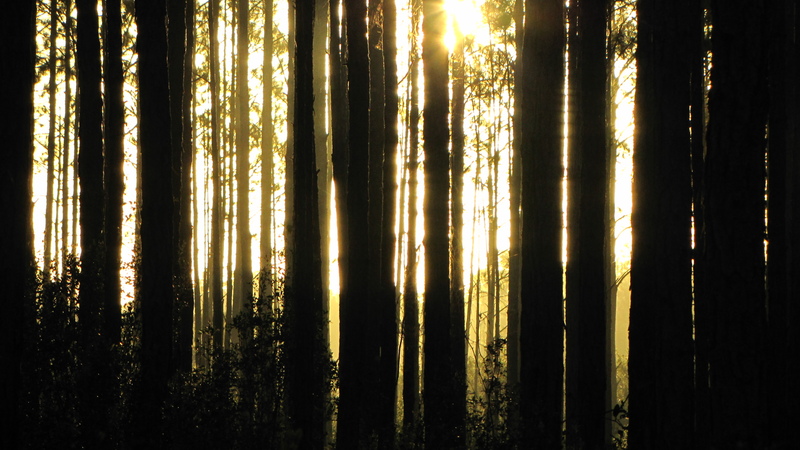 Remember: Tate’s Hell is Florida’s second largest forest with 202,000 acres. 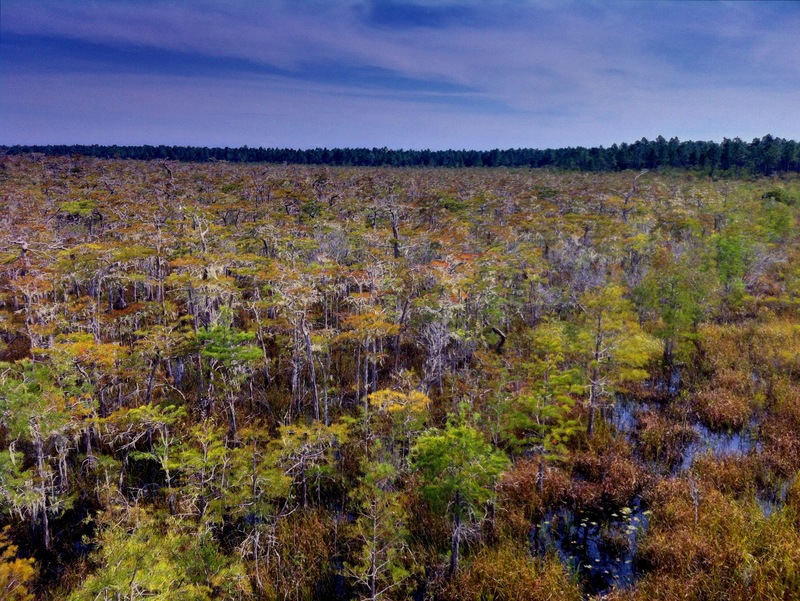 Blackwater River State Forest is the larges, with 220,000 acres. This is why we wish to save these forests for the enjoyment and solace which wilderness can provide for future Floridians. 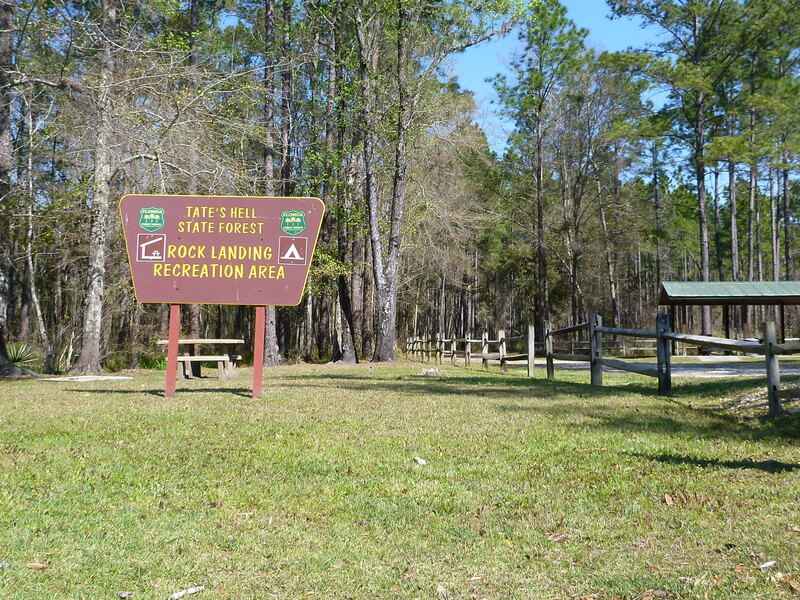 This entry was posted in Crooked River, Crooked River, New River, Ochlocknee River, Tate's Hell State Forest, Womack Creek and tagged Camping Tate's Hell State Forest, Crooked River, Florida camping, New River, Ochlocknee River, Paddling Tate's Hell State Forest, Tate's Hell State Forest, Womack Creek paddling on March 31, 2014 by marylynanded. 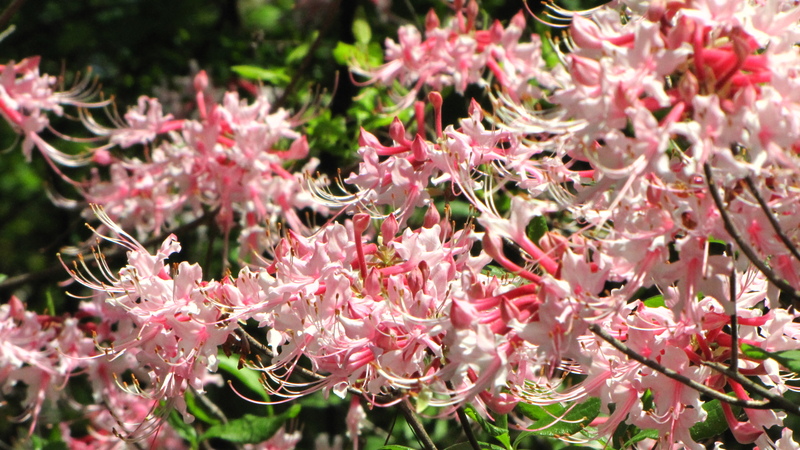 The jubilance of pinxster azaleas in early spring, a feast for the eyes. And, as one approaches, the sweet, delicate scent issues another sensory gift. Photo by Branson Carleton. 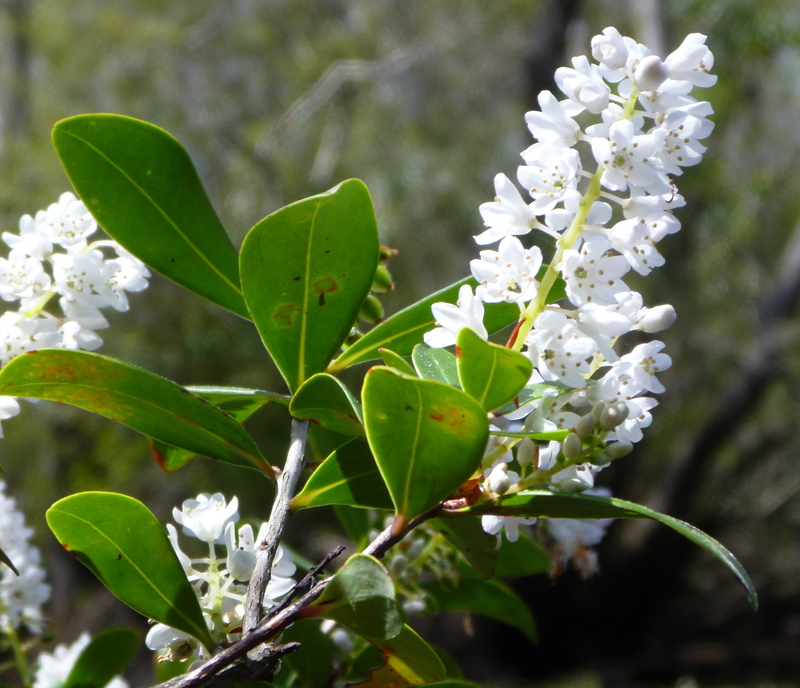 This entry was posted in Native Wildflowers, Tate's Hell State Forest, Tate's Hell wildflowers and tagged Florida native wildflowers, Tate's Hell State Forest on March 29, 2014 by marylynanded. River view of Rock Landing with 3 campsite: large, medium and small, the smallest being the most private. Day use pavilion. Unisex vault toilet. No water, no sanitizer. 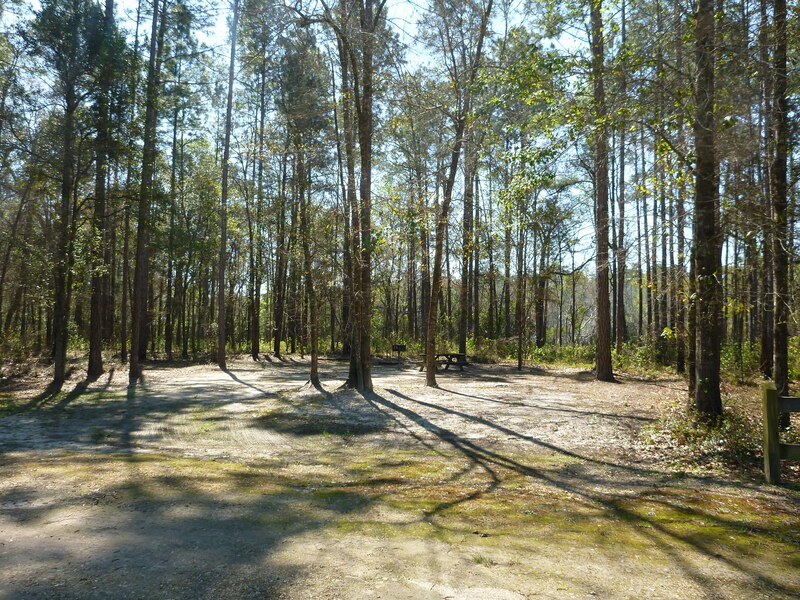 Site 1, the largest campsite (see stand-up grill, fire pit and table in back of lot), but close to public usage area. Camp site 3, no stand-up grill, and smallest, but most private of 3 campsites. 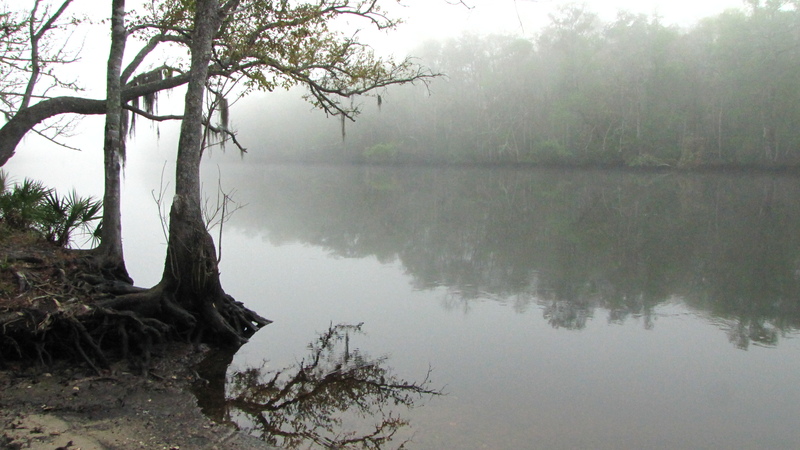 Looking east on Crooked River where it meets the Ochlockonee about 4 miles. This is a favorite putting in place for motor boats. Better putting-in place for paddlers west of concrete ramp. 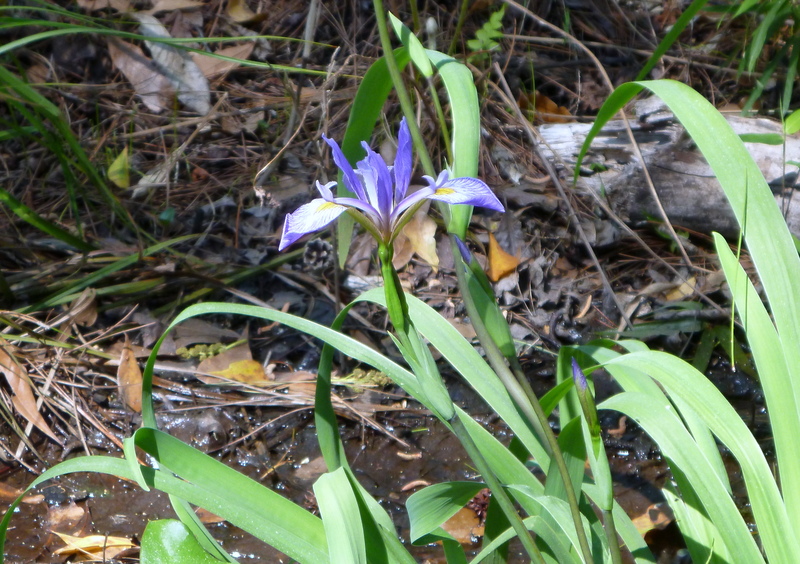 First blue flag iris at Rock Landing, March 26, 2014. Start at Rock Landing (3.5 miles west of loop campsite) on the Crooked River and paddle west. Rock Landing is about 4 miles from the Ocklockonee River. 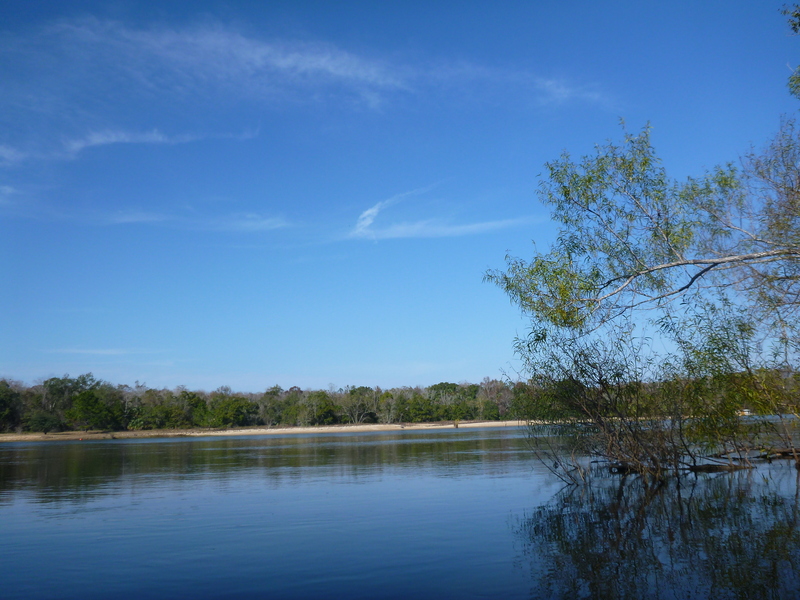 Crooked River has neither up-river nor down-river, tides come in through Ochlockonee River to the east and from Carrabelle River (New River) on the west. 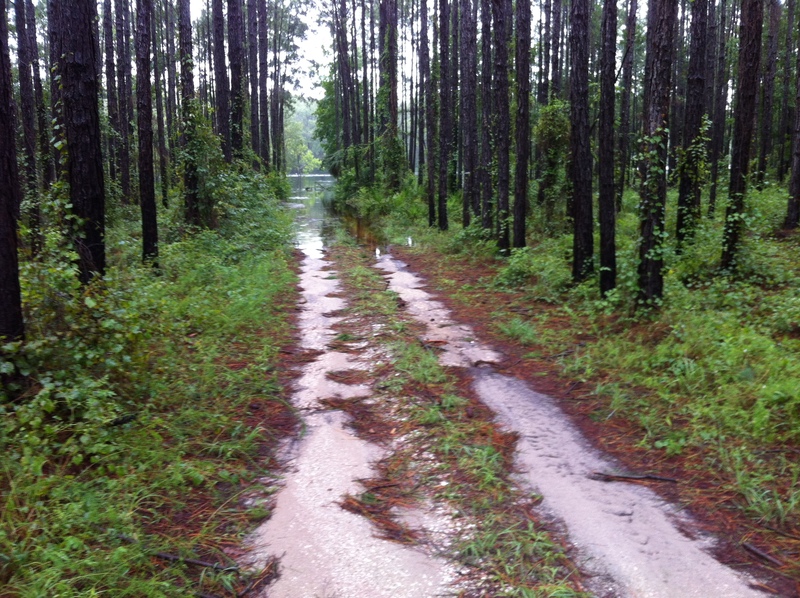 It is an alternate trail of the North Florida Circumnavigational trail. 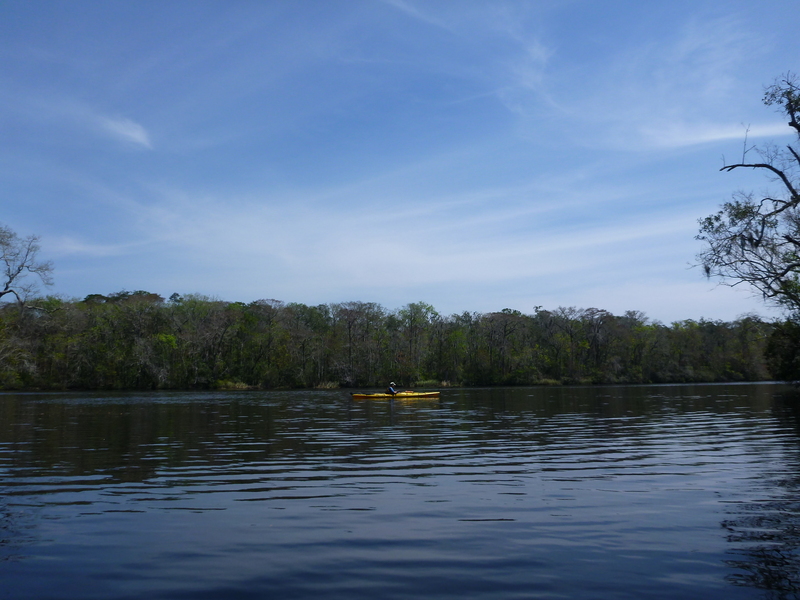 Some paddlers go up two miles on the Ochlockonee to Womack Creek Campground for a hot shower. Tom Hahn Creek is 1 mile west of Rock Landing. 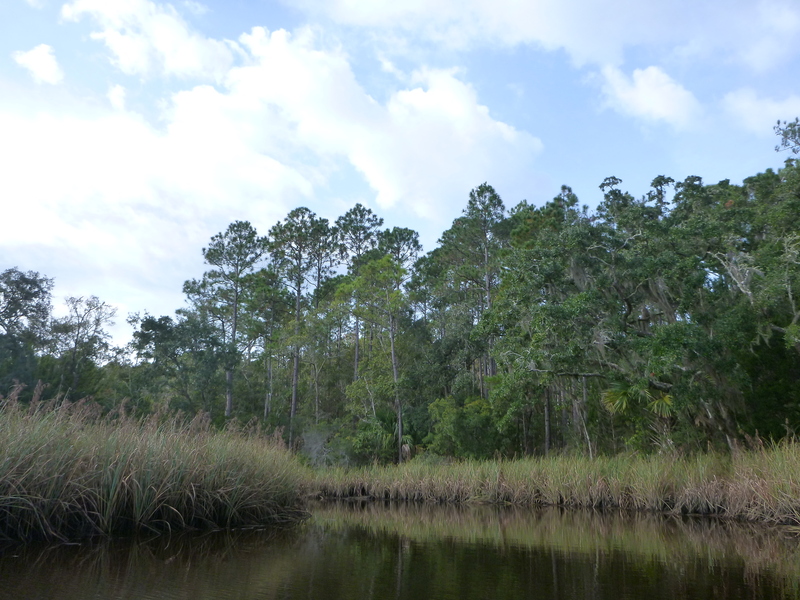 But before that, .4 mile west of Rock Landing, is a smaller .4 mile creek where we saw a yellow headed night heron. 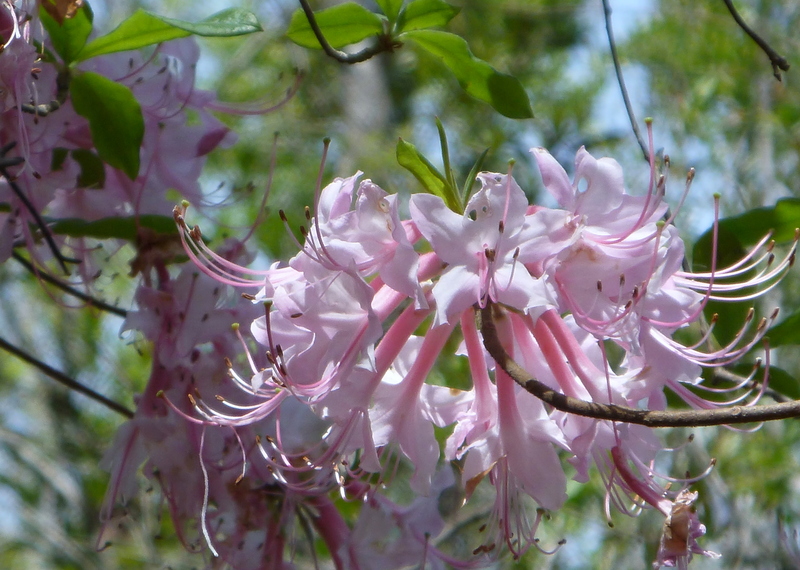 There is more variety in plants and shrubs on Tom Hahn Creek, except there may be more open blooming iris and golden club patches on the first short branch. Golden club, branch .4 miles west of Rock Landing. About .4 of a mile upriver on Tom Hahn Creek the creek forks. The fork to the right is about 1/2 mile long before thickets and low water may deter you. The one on the left is about 1.1 miles log before you encounter real obstacles (there are overhangs and snags in the river toward the end). Spider lily near fork Tom Hahn Creek, Crooked River, March 26, 2014. Right now on the right branch and the shorter other creek, golden clubs are blooming. 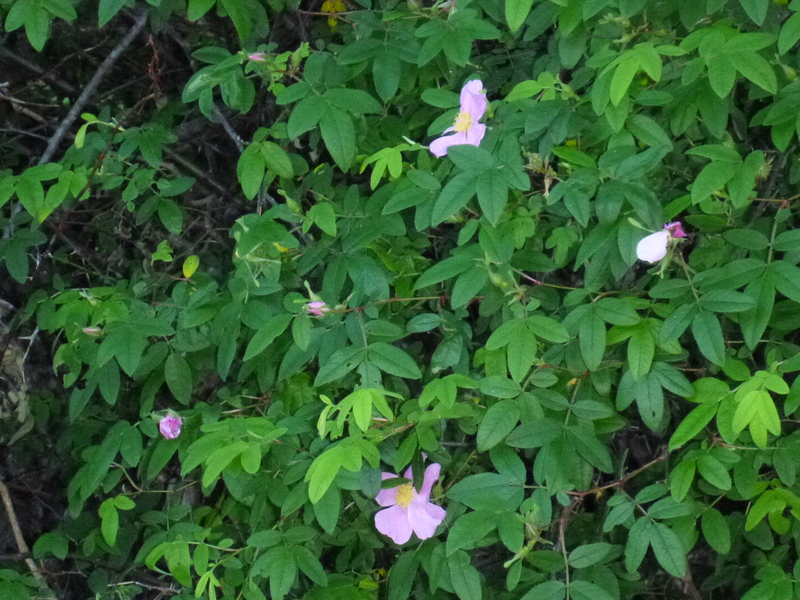 There are more blooming native pinxter azaleas on the branch to the left, swamp jessamine, lots of blooming titi shrubs and blackberry blossoms, but we saw no honey bees. 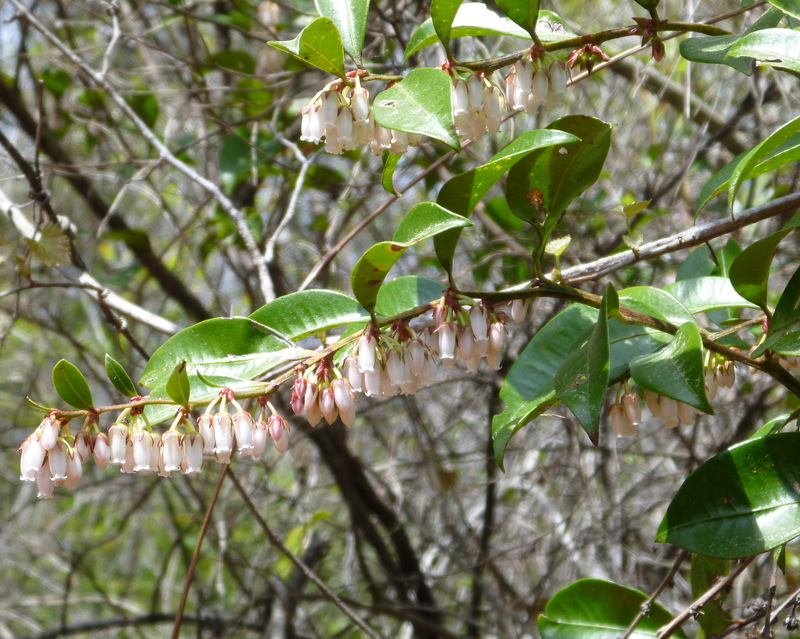 Fetterbush were blooming in one large bush on the longer branch. Titi all in bloom in both forks of Tom Hahn Creek. Fetterbush, March 26, 2014, Tom Hahn Creek. Expect in a few weeks blue flag iris and spider lilies. 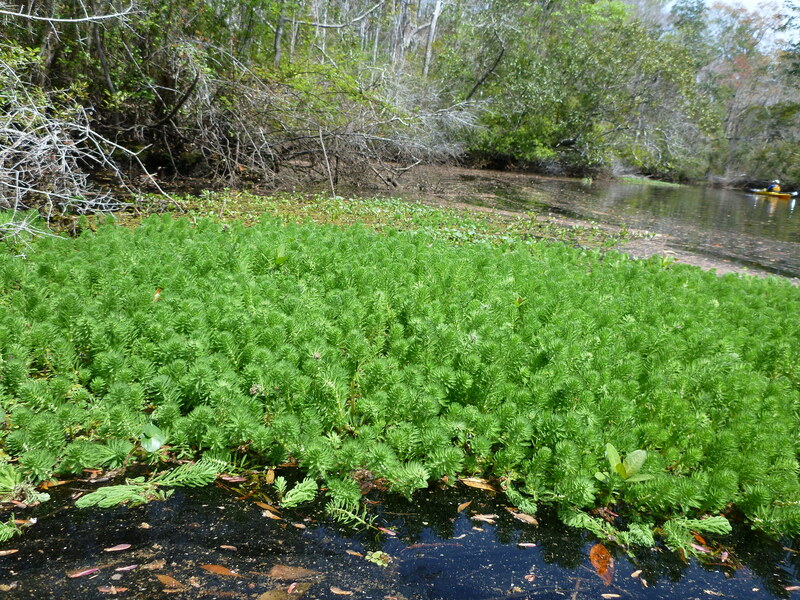 Parrotfeather or Brazilian watermilfoil on left branch of Tom Hahn Creek (in 3 places — this is the largest patch). 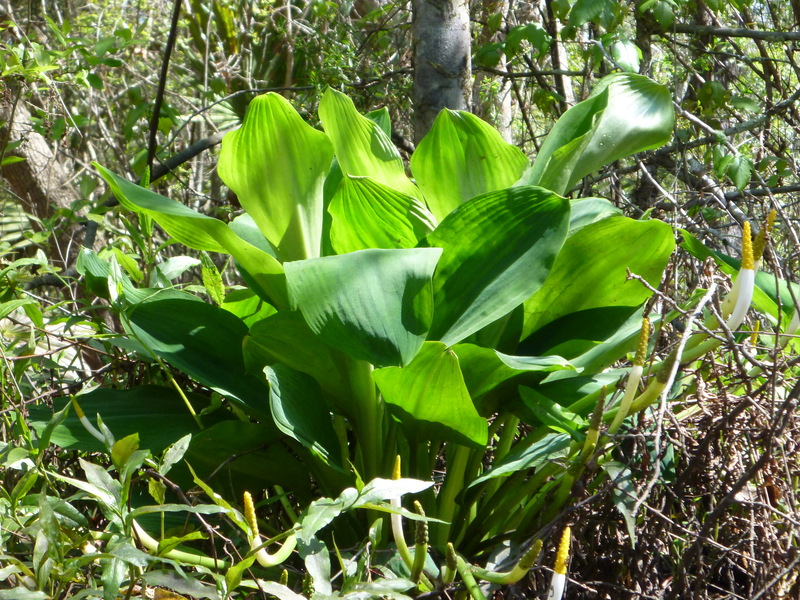 Non-native invasive plant. Myriophyllum aquaticum. The longer branch is wide at the entrance and narrows about 3/4 miles. We saw more alligators here than any other creek in the last 2 days — 5 alligators. On the Crooked River, you may have tides against you or the wind or both. Keep to the shoreline and you may escape the full brunt of any wind. Once leaving Rock Landing there is no easy place for a pit stop. On the Crooked River, the land to the north is Tate’s Hell State Forest, opposite lands are in private ownership. 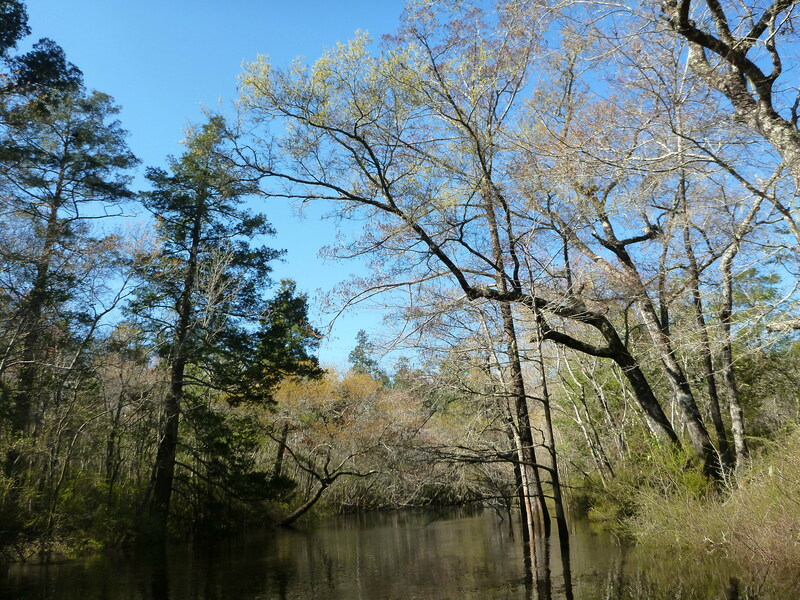 Tupelo, cypress, pines, Florida maples are some of the trees you will see on the crooked river. On the way back to Loop campsite east of Rock Landing, we stopped for 15 minutes to try to photograph a beautifully golden-capped prothotonary warbler in a shrub. We were unsuccessful. It seemed undeterred by us, but kept itself under tight cover. Back on the Crooked River, headed east to Rock Landing. 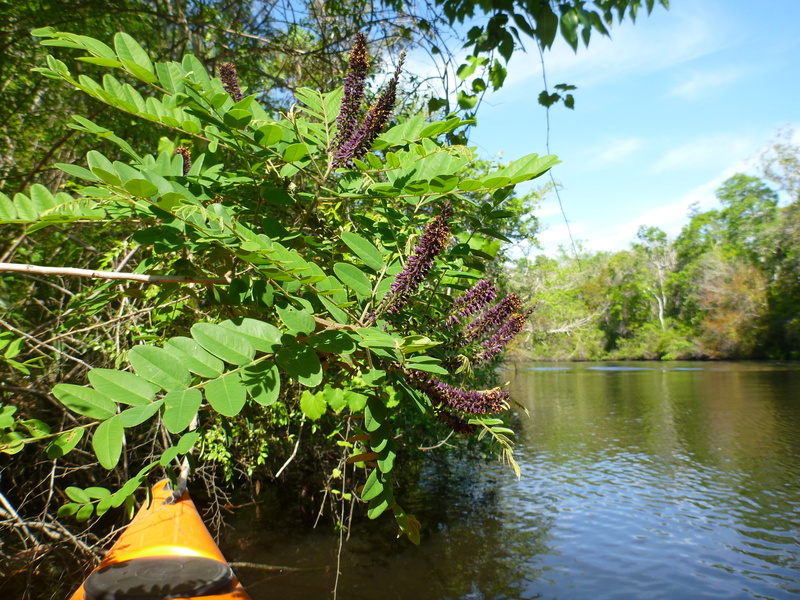 This entry was posted in Crooked River, Crooked River, Native Wildflowers, Ochlocknee River, Paddling, Tate's Hell State Forest, Tate's Hell wildflowers and tagged Florida fishing, Florida native wildflowers, Florida Paddling, Paddling Tate's Hell State Forest, Womack Creek on March 28, 2014 by marylynanded. Womack Creek, forinstance, provides either a downstream paddle from Nick’s Road campsite (a short about 5 miles by car or bike) to Womack Creek campground — about 4 miles — or a usually easy upstream and back paddle for 8. Crooked river at Loop camp site is about 2 miles from Womack Creek landing, depending on which road one takes. We have paddled almost all of Tate’s Hell rivers and creeks and will be writing reports on each as we revisit them. Other paddling reports for those planning to paddle the Panhandle and are looking for paddling places is The Green Wave Forum. For the past year and a half the number of reports have slowed down on that site , but the historic reports will still give you put-in and take-out locations (but not current paddle conditions). Womack Creek in February, 2014. We have written reports about the New River from FH 22 east of Sumatra to Tate’s Hell New River campsite 7. From Camp Site 7 downstream, the river is usually open all year round and generally clear of debris because it is also use by jon boats. Jon boat fishermen are usually very considerate of paddlers. These are usually local folks who are out to anchor at their favorite fishing spots and will not be traversing the rivers at great speed. We have gotten good information on good paddling spots from these fishermen. The New River from camp site 7 downstream is subject to tides and is much wider than the upstream. 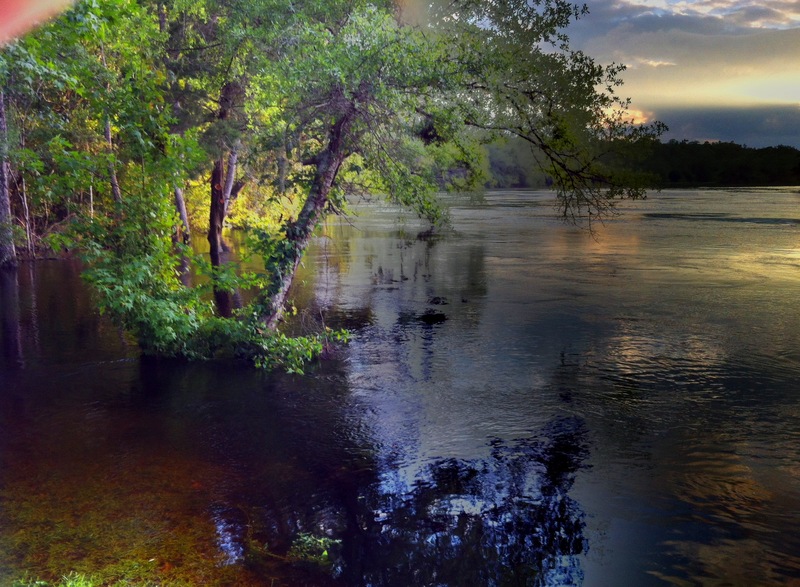 There are a few on river campsites on both river right and left. Beyond Gully Branch (with several sites, vault toilets, and a constant water source which is not potable), Pope’s Place is a good take-out place on the east side of the river. Downstream of Gully Branch the river widens and will be more influenced by adverse winds. Surrounding land is upland mainly pine forests, but there are stands of Atlantic White Cedar and deciduous trees along the river. During hunting season, this area is hunted. New River upriver from camp site 7 in late February, 2014. Whiskey George and Deep Creek have also been reported on. These are on the west side of Tate’s Hell, closer to Hway 65 and Eastpoint. We have not yet camped in any of the west-side sites. We had reserved Pidcock Road campsite in January, but didn’t show because of predicted temperatures in the high teens. Deep Creek has a campsite right on river, but access to that campsite by river may be difficult when Deep Creek is low. Like all Tate’s Hell campsites on water, all are reachable by car. These sites have no water, toilet facilities but have a fire pit and picnic table and possibly a stand-up grill. Cash Creek is another paddling spot on the west side and just a short drive off hway 65 with a covered picnic area and vault toilets. It is estuarine for about 1 mile upstream and we do not recommend it during the summer unless you are a heat-lover. Upstream beyond that the creek narrows and has a mix of hardwood and swamp brush and will provide shade. There are large alligators on that creek if you want to get a photo of them — they are skittish of humans, as they should be, and will splash into the water first chance they know you are there. Unless you want to photograph them, we suggest you occasionally tap your boat with your paddle before you go around a turn to warn the sunning alligators around the corner that you are there — a surprised alligator, particularly a large one, can create a big splash and can startle you. This is good advice to give to fledgling paddlers in your group. 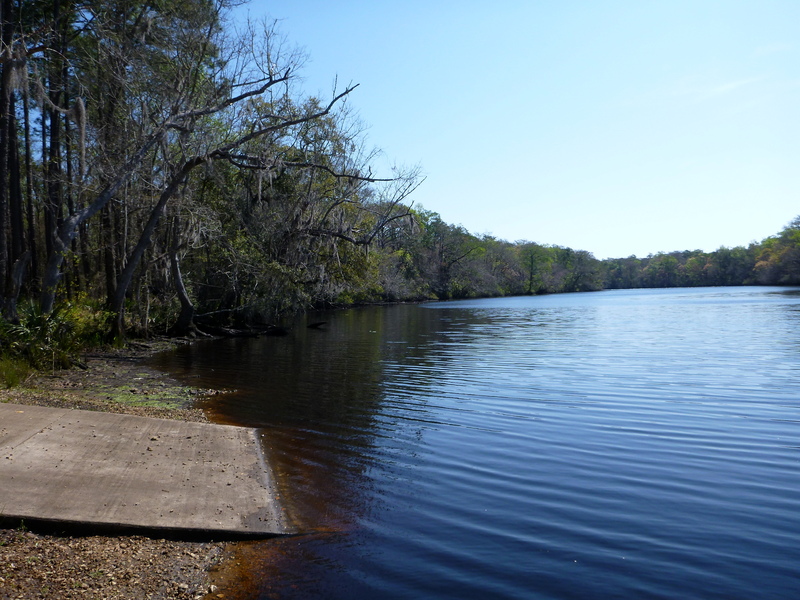 On the east and middle campsites there is quiet from motorized noises, except the occasional boat motor. This is not a military maneuvering area and commercial airplanes are too high to let their sounds intrude on your nature moments. There may be a civilian small plane or two, but rarely. We heard more jet sounds at Voyageur’s National Park in Minnesota than we do in Tate’s Hell. On the west side of Tate’s Hell, around 10:30am and 2:30pm military jets do maneuvers in the Apalachicola National Forest and the sounds carry over. Tate’s Hell has only one hiking trail off hway 98 (coastal road), the Coastal trail which runs just east of Eastpoint and west of Carrabelle with two parking areas. It has beautiful stands of lush native lavender lupine which usually bloom in April. Watch out for pygmy rattlesnakes on the path — they like to sun there. Birds seem to like that trail, also. There are any number of sand packed roads for bicycling in Tate’s Hell, particularly between Hway 65 and 67. In this section, some of the roads have been filled with gravel at the low spots to allow for natural water flow and after several days of rain may have as much as a foot or more of water coursing from one side to the other. 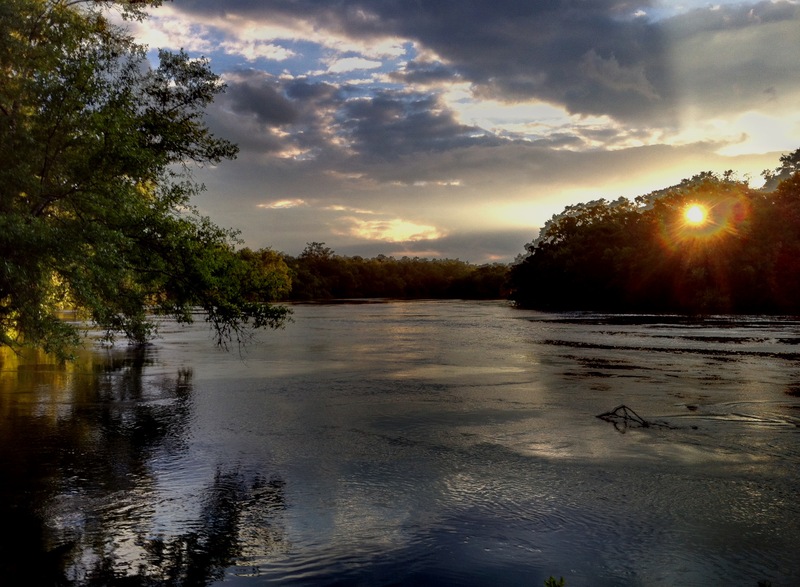 Tate’s Hell is being restored to its historic role as watershed of the Apalachicola River, that is, unless other uses which impact the land adversely are allowed. Campsite 1, Rock Landing Campground. Largest of 3, but close to general public usage. 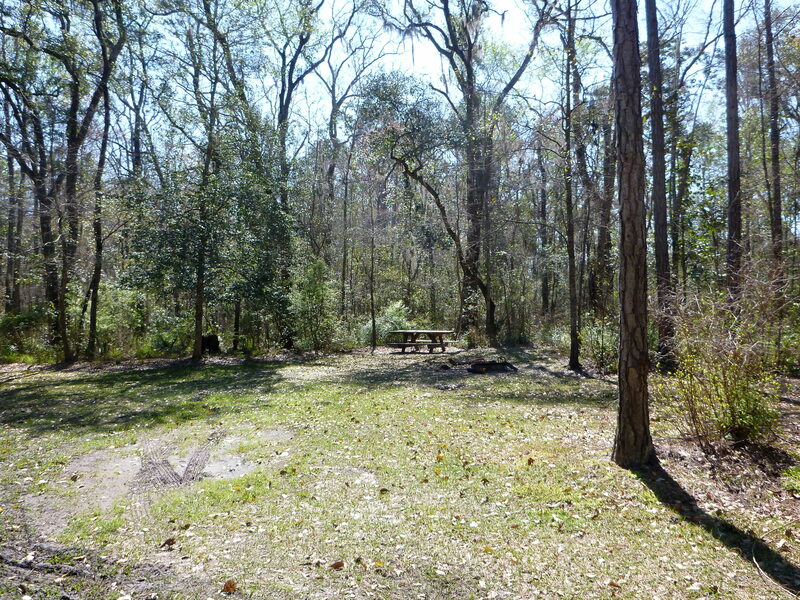 Standup grill, fire pit, picnic table (see at back of lot). Vault toilet within short walking distance. A week’s family or friends’ nature-based outing? You betcha! 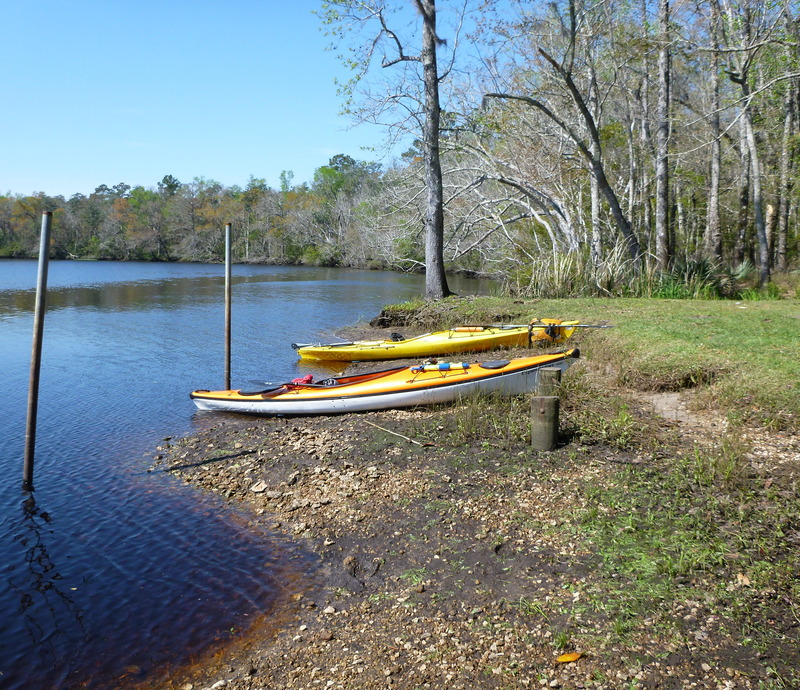 This entry was posted in Crooked River, New River, Ochlocknee River, Paddling, Tate's Hell State Forest, Womack Creek and tagged Crooked River, New River, Ochlockonee River, Paddling Tate's Hell State Forest, Tate's Hell State Forest, Womack Creek paddling on March 28, 2014 by marylynanded.